MOSCOW, January 14. /TASS/. Russia’s sovereignty over the Kuril Islands is non-negotiable, Russian Foreign Minister Sergey Lavrov said following the first round of Russian-Japanese talks on making a peace treaty. On Monday, Lavrov held talks with his visiting Japanese counterpart, Taro Kono. "We pointed out to our Japanese friends that the sovereignty over the islands was non-negotiable. This is Russia’s territory," he stressed. The Russian minister stressed that Japan did not make any objections to Russia’s statement that the results of World War II are not subject to review. "I clarified Russia’s position on the results of World War II in detail," he said. "I pointed out that apart from the Treaty of San Francisco, some other documents and the [Soviet-Japanese] Declaration of 1956, which draws a final line under World War II and should be read in conjunction with the Treaty of San Francisco, there is also an important document such as the United Nations Charter. Its Article 107 recognizes the results of World War II as they were outlined by the allies. We reiterated it to our Japanese colleagues and heard no objections," Lavrov added. Following the talks, Russia and Japan have agreed to look at new projects of joint economic activities on the Kuril Islands, Lavrov said. "We have agreed that our corresponding ministries will work out more daring projects to see visible results of our joint economic activities," he said. In his words, the two countries can do much more than they are doing now in the economic sphere, especially in the investment sector. 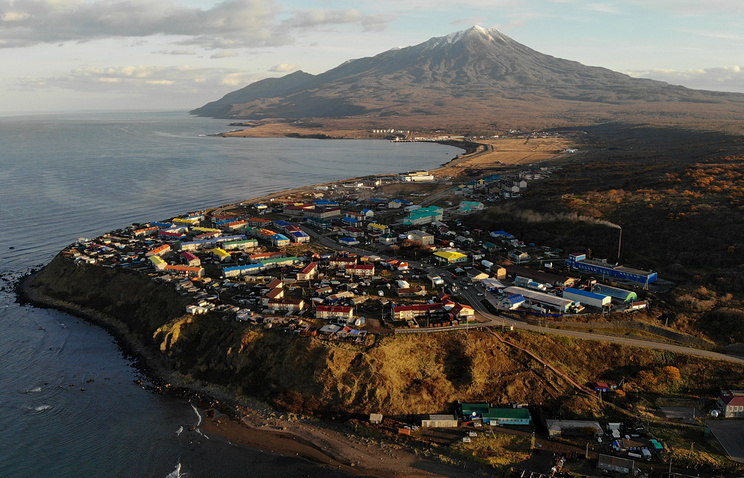 "The agreement on the organization of joint economic activities on the South Kuril Islands that was reached between the Russian president and the Japanese prime minister a couple of years ago is now being implemented but its scope is very moderate," he noted. "We have five projects but they are not in groundbreaking spheres. Today, we drew attention of our Japanese colleagues to this fact." At the same time, Lavrov said that major differences still remained between Moscow and Tokyo as far as the peace treaty issue went. "I will be frank, we do have serious discrepancies. Initially, our positions were poles apart, and we have said it more than once. But the political will of our leaders to normalize relations between Russia and Japan is a stimulus to invigorate this dialogue,"
He recalled that Moscow is ready to move towards a mutual understanding on the peace treaty issue with Tokyo. "It is not an easy task but we have willingness and patience to move towards reaching a mutual understanding," the Russian top diplomat stressed. 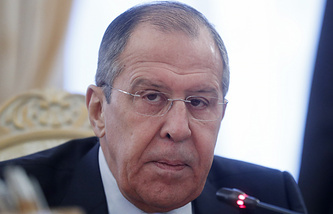 In turn, Kono, has pledged that as concerns the issue of the peace treaty with Russia his country will be guided by its national interests rather than by positions of other countries, Lavrov said . "We asked how independent Japan could be in such conditions, how independent it could be on any matters given its such dependence on the United States. We were assured that Japan will make decisions based on its national interests. We would like to see it this way," he said. At a meeting in Singapore in November 2018, Russian President Vladimir Putin and Japanese Prime Minister Shinzo Abe agreed to invigorate the peace treaty talks on the basis on the 1956 declaration on ceasing the state of war. Later on, on the sidelines of the Group of Twenty summit in Buenos Aires in early December, the two leaders announced a new format on the matter of the peace treaty that would be in the competence of the two countries’ top diplomats. Today’s meeting was the first one in this format. In 1956, the Soviet Union and Japan signed a joint declaration on ceasing the state of war. The two countries resumed diplomatic and other relations, however no peace treaty has been signed until now. Katsuyuki Kawai, special advisor for Foreign Affairs to Japanese Prime Minister Shinzo Abe, said at the Hudson Institute in Washington last week that his country hopes for the US’ support to the efforts towards signing a peace treaty with Russia as an instrument of containing China.